Looking for Pest Control? Galston has been a suburb that we have serviced for over 35 years (we live and operate in Bella Vista). Your home or business could be protected by a trusted local firm. We are family owned & have survived in business by giving all of our customers what they are looking for; a reliable, trustworthy service at a reasonable price. Termites – They are a problem in this area due to the close proximity of the bush. They love to nest in trees and stumps. Due to this fact, we recommend 6-12 monthly termite inspections. Cockroaches – Smoky Brown, American, German. Fagan Park is a 55 hectare recreation area open now for almost 30 years! Featuring the Gardens of Many Nations, playgounds and picnic areas, it is a great place to bring the family for a day out. Originally owned by the Fagan family before being donated to the Dep. 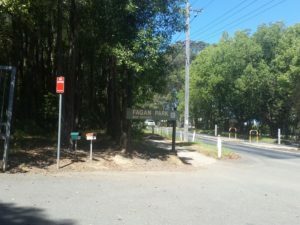 of Lands where it was appointed to the Hornsby Shire Council who now maintain the land. the park’s “ecogarden” was featured on a Gardening Australia episode which was broadcast on 12 July 2014.